Is it a Korean Game? Do we earn points if we play the game? 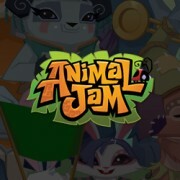 How do I get my REAL username instead of New Jammer on Animal Jam?